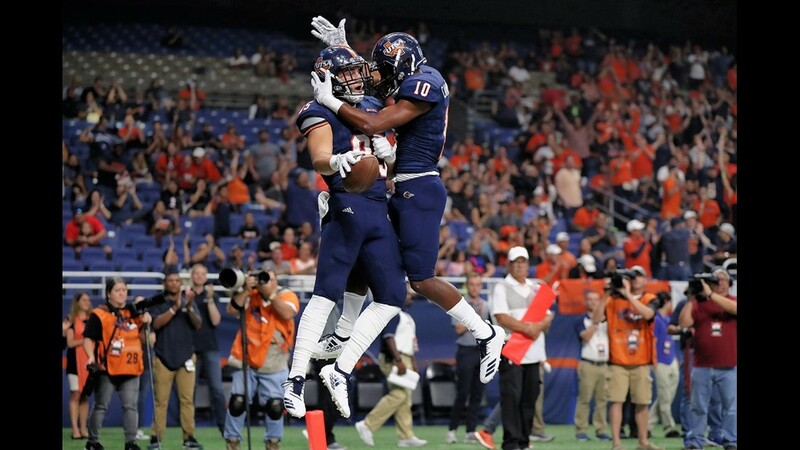 SAN ANTONIO — One streak ended and another one continued in UTSA's 30-21 victory against UTEP in the Conference USA opener for both teams Saturday night at the Alamodome. 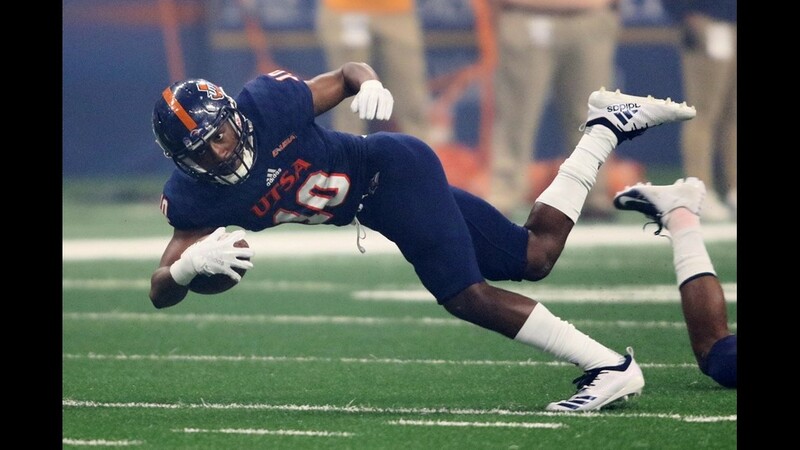 A crowd of 20,176 watched the home team win for the first time in the six-game history of the series, and the Roadrunners (2-3) handed the Miners (0-5) their 17th consecutive loss. 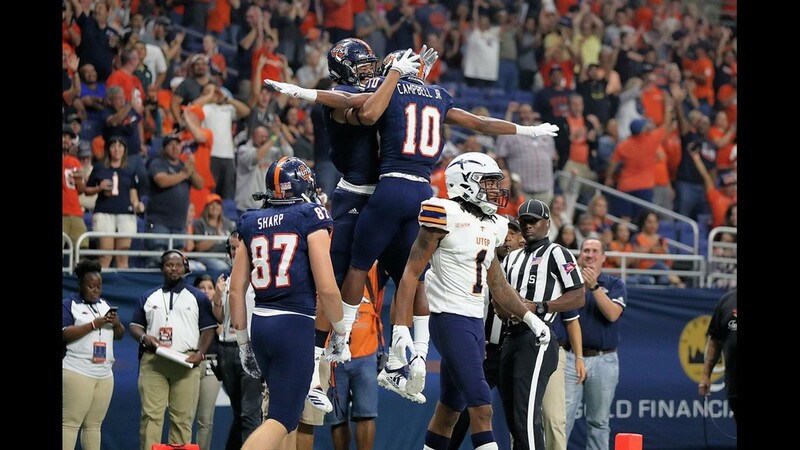 UTEP hasn't won a game since its 2016 season finale. 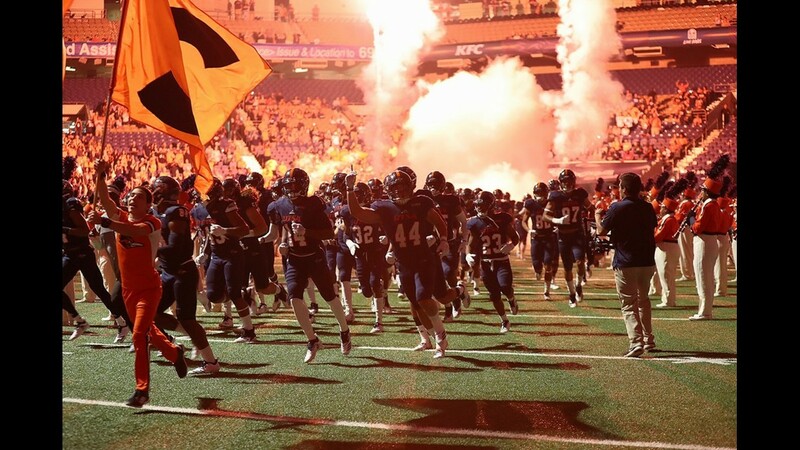 The Miners were 0-12 last year. 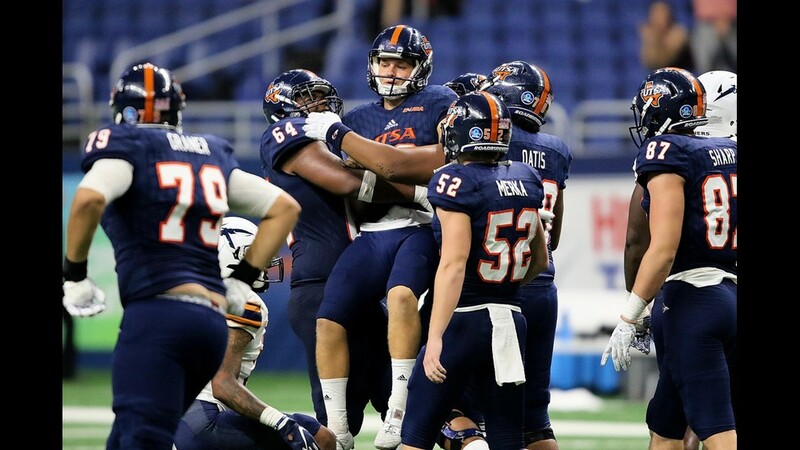 Their last road victory, an epic 52-49 five-overtime thriller, was against UTSA in 2016. 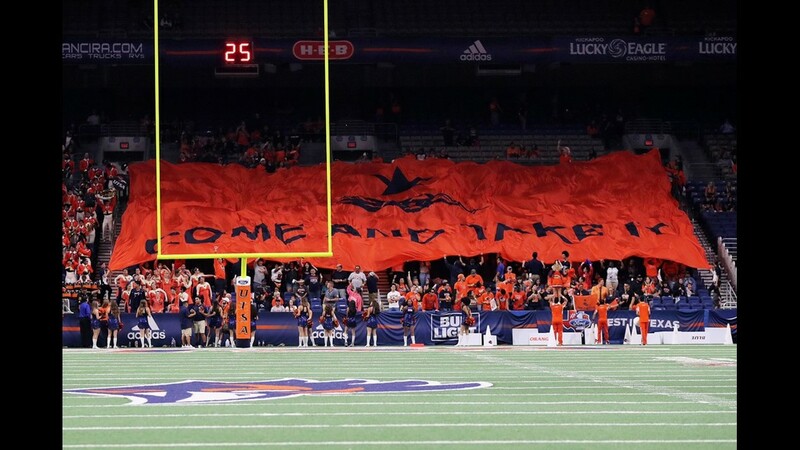 The Roadrunners, who won back-to-back games for the first time since beating Rice and UTEP last October, play Rice in Houston next Saturday. 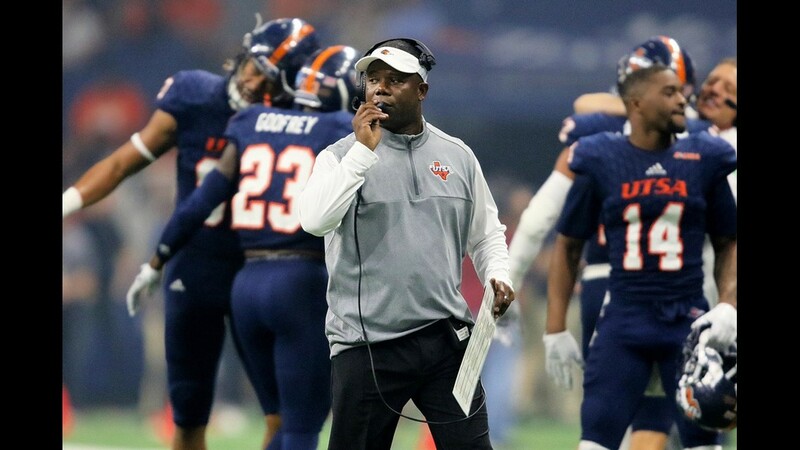 "Yeah, I think it's big for us to start conference play 1-0," UTSA coach Frank Wilson said. "It's our first one of the year, and to be able to grab it sets us in position to be able to complement it again next week. I think it was big for us at home for the second week in a row to find a way to muster a win, and we did enough. "Still have some work to do in so many spots, but it's certainly gratifying to find a way to get a hard-fought W, again, because they're not easy to come by." 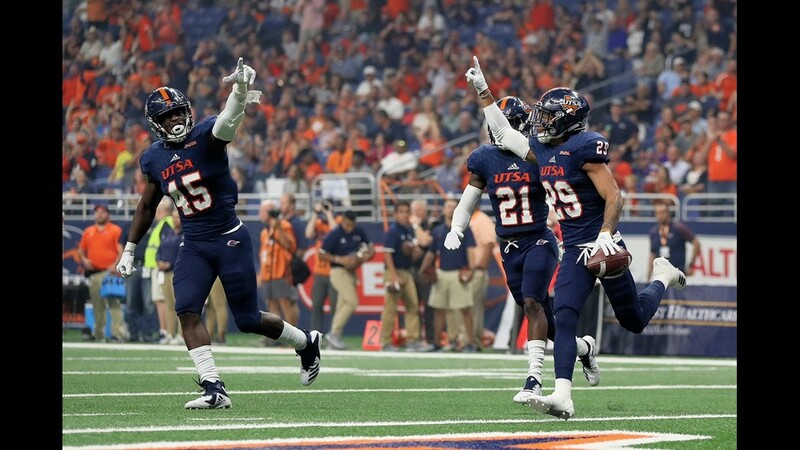 After starting the season with losses to Power 5 teams Arizona State, Baylor and Kansas State, the Roadrunners finally got in the win column last week with a 25-21 victory against Interstate 35 rival Texas State at the Alamodome. 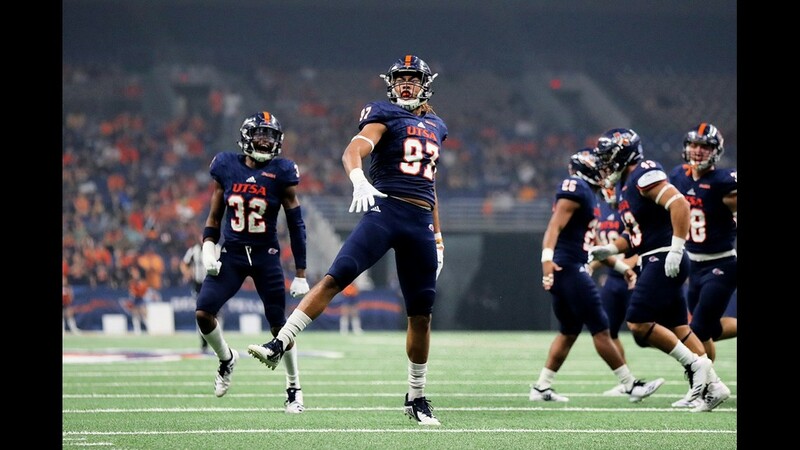 "It's awesome," linebacker Josiah Tauaefa said about winning back-to-back games. "It's huge for our team, especially to open up conference 1-0 because there are the games that -- not that the first three of four didn't matter -- but this is where it matters the most, in conference. And right now we're 1-0, so that's exactly where we wanted to be coming into this week, and moving forward we're looking to keep strong." 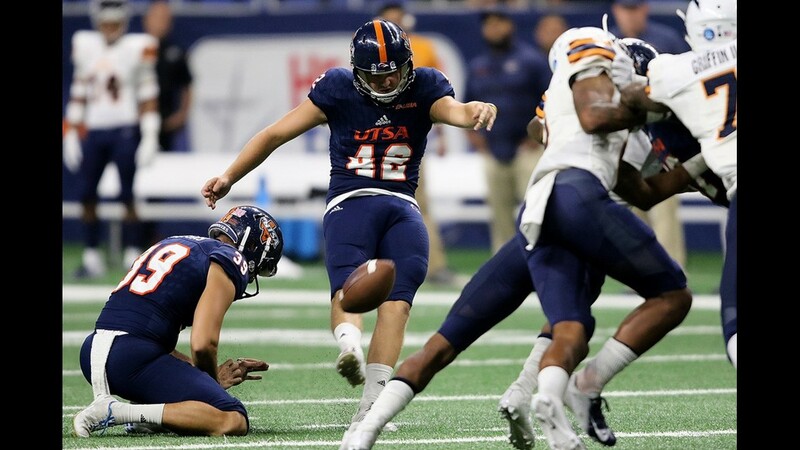 Down 24-7 at the half and 24-14 heading into the fourth quarter, the Miners closed the gap to 24-21 before Jared Sackett kicked field goals of 39 and 47 yards in the final 10 minutes. 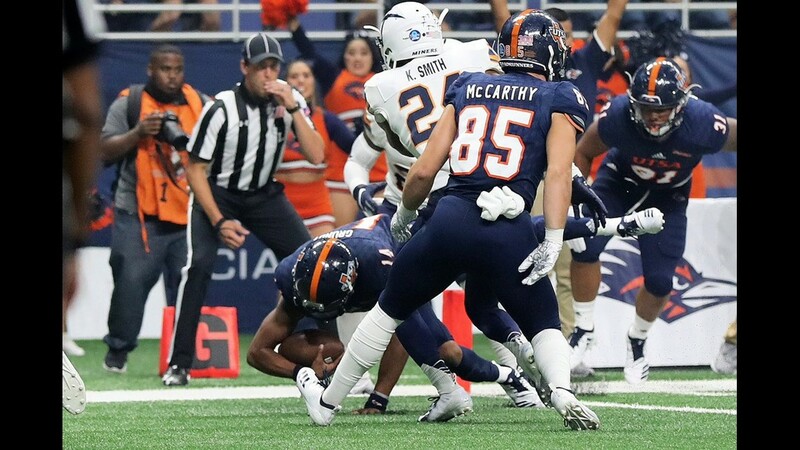 Sackett's 47-yard field goal came four plays after cornerback Clayton Johnson broke up a pass from Ryan Metz to Alan Busey on a fourth-and-1 at the UTEP 38 with 2:18 remaining. The play was the first of the game for Metz, who came off the bench to replace injured starter Kai Locksley. Locksley did not return to the game. 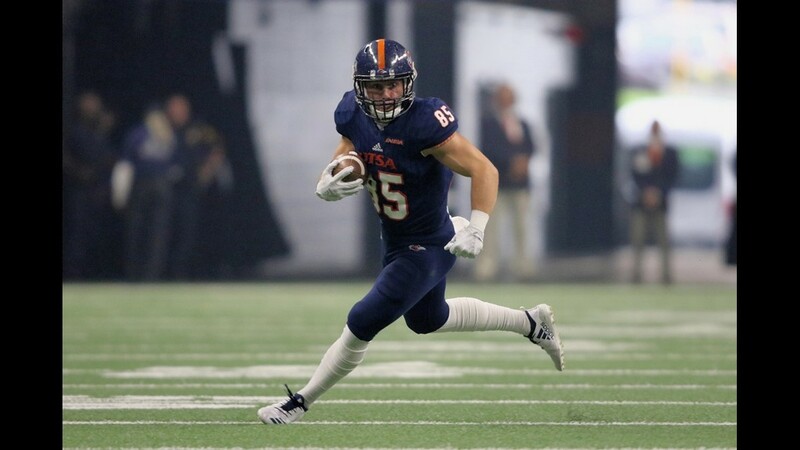 He led all rushers with 106 yards and scored one TD, and completed 10 of 16 passes, with one interception, for 117 yards and another score. 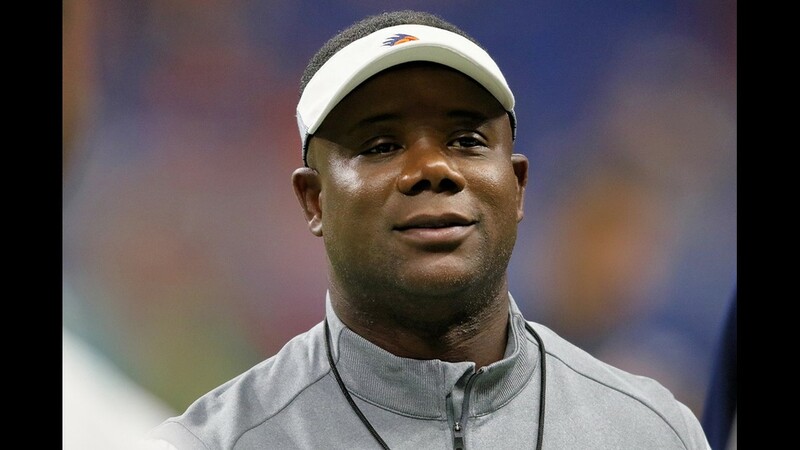 "We hit him, and we hit him and we hit him," Wilson said of Locksley. "I think he's a quality football player that has posed problems for everybody who they've played so far. Fortunately, we were able to contain them enough to deny them a victory tonight." 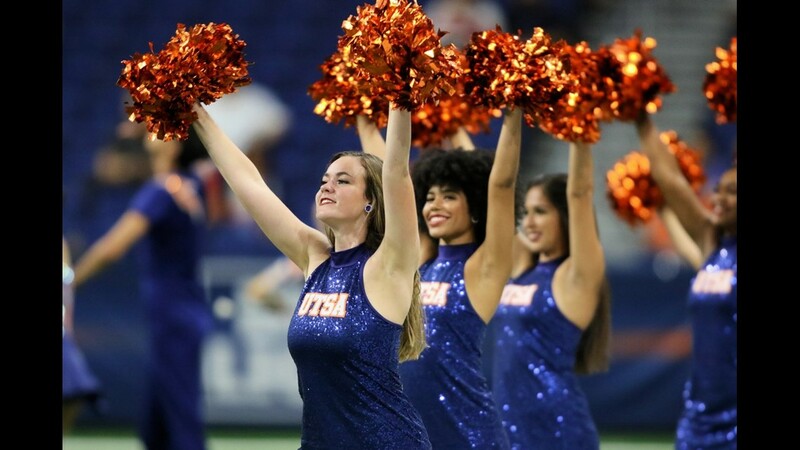 UTSA won despite getting outgained 297-278 in total offensive yardage. "I did not like the lack of push up front that we so desired," Wilson said. 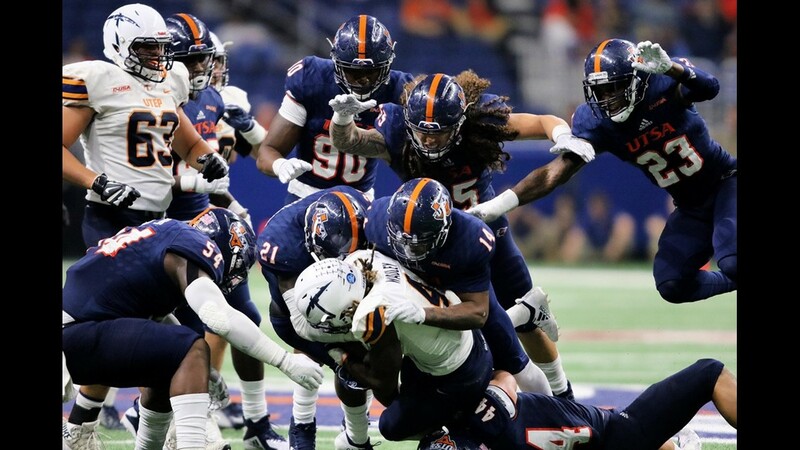 "We did not control the line of scrimmage consistently the way that we deserved, and so therefore we adapt. We adjust. And we do things necessary to allow our offense to have the success that we need to have. "And sometimes that may be running it 40 times a game, sometimes that may b e throwing it 40 times a game. 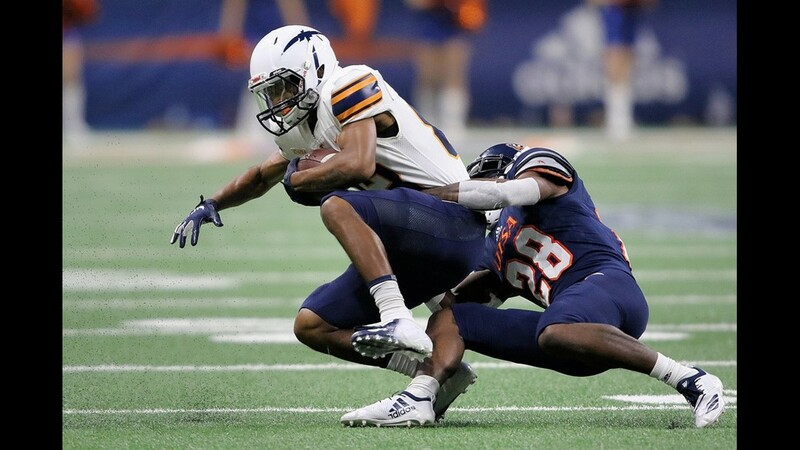 Whatever it takes, we find a way to earn a victory, and I thought we had to do that tonight, and Cordale (Grundy, quarterback) and the offense were able to manage those situations, make some key catches at times to extend drives and to get us in position to earn points." 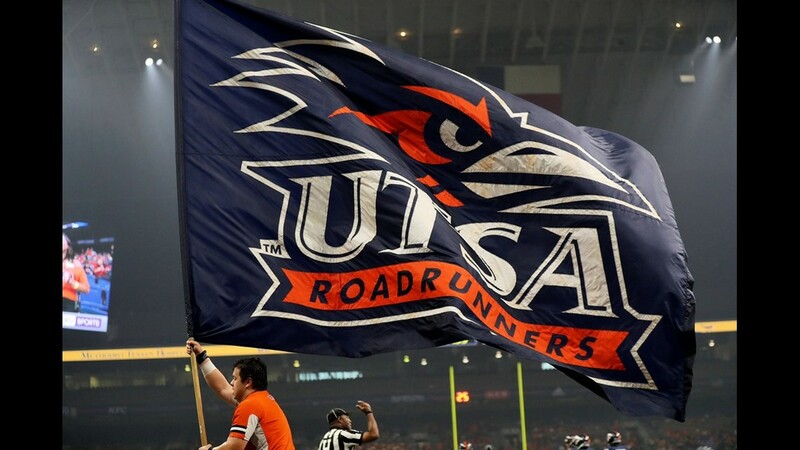 The Roadrunners finished with 91 yards rushing and 187 passing. 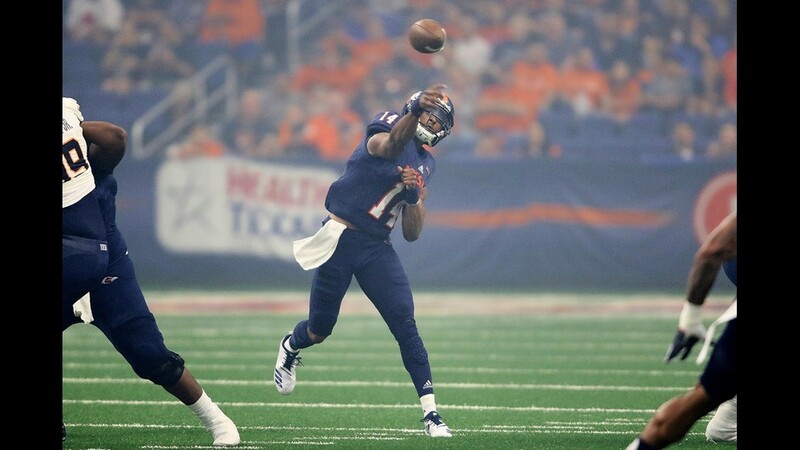 Grundy completed 20 of 35 passes for 187 yards and two TDs and ran for another score. "I thought he did a very good job for us in managing the clock, especially at the back end, not to play keep-away from our opponent, to do the things necessary to allow us to keep possession of the ball, conscientious of it at times. Good throws. 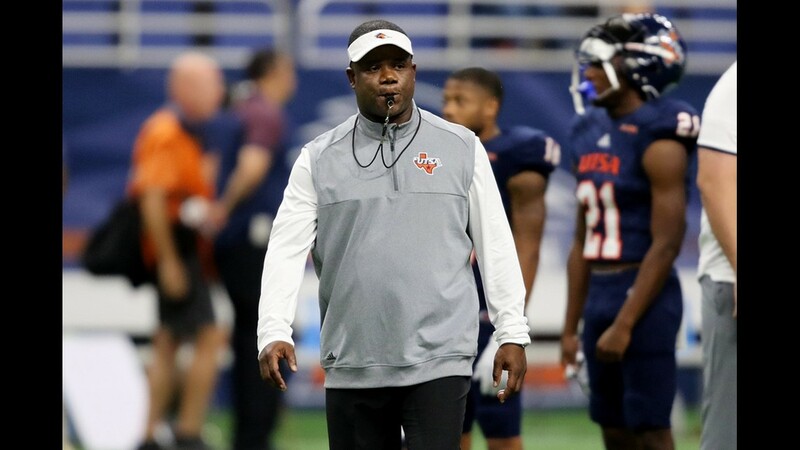 "Checked into a right play, at times with throwaways and even times when he was under duress and was sacked, put two hands on the ball with ball security, at a time like that where he could have created a turnover and momentum for our opponent. He didn't do those things. He did the things that you look for in the leadership at the quarterback position, and it allowed us to be victorious tonight." Grundy said he had fun Saturday night. "We went into this game trying to open it up, open up our offense and execute and start fast," he said. 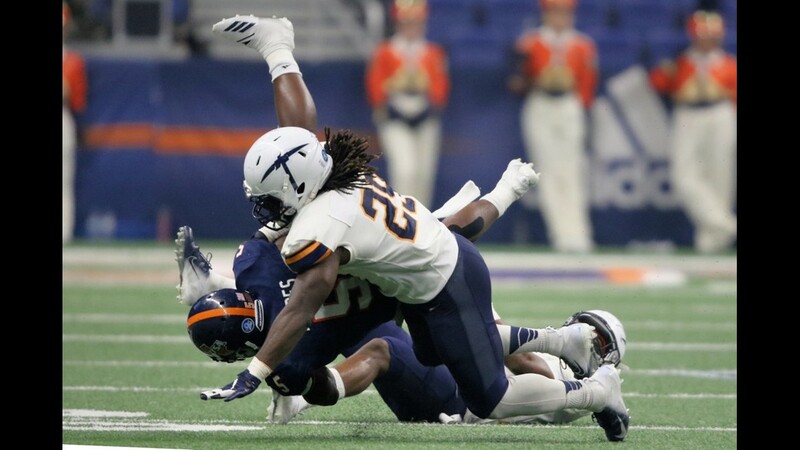 Trailing 24-14 after three quarters, the Miners cut the deficit to three after Quardraiz Wodley scored on a 3-yard run with 13:08 left. Jason Filley converted his third extra-point attempt of the night. 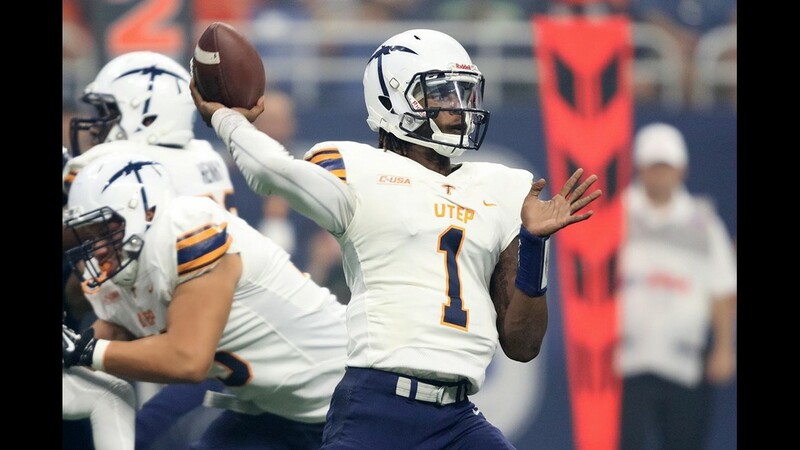 UTEP closed the gap to 24-14 on a 6-yard pass from Kai Locksley to David Lucero with 5:26 remaining in the third period. 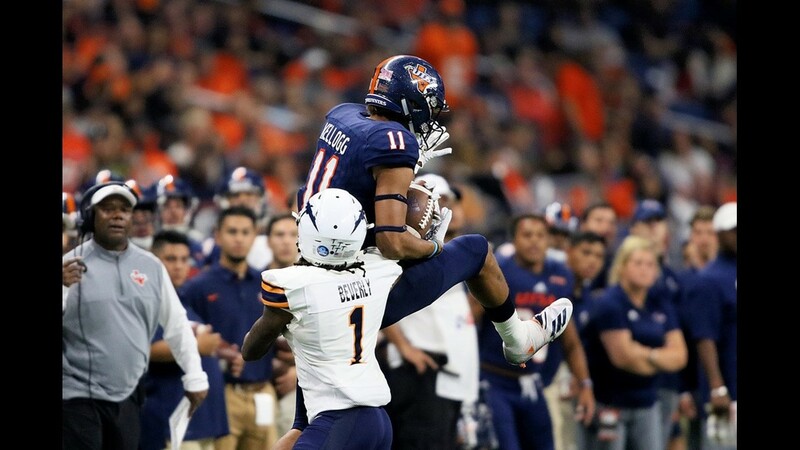 Lucero's TD reception capped a seven-play, 71-yard drive on the Miners' first possession of the quarter. 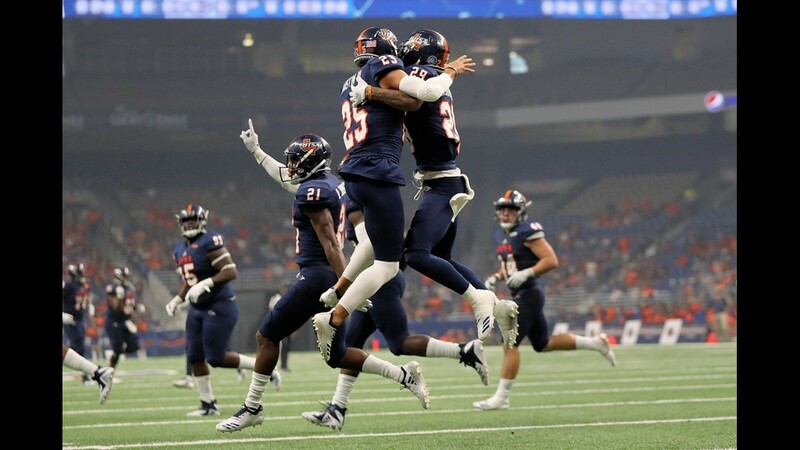 UTEP scored first but UTSA ripped off 24 unanswered points, capped by Sackett's 51-yard field goal on the last play of the half, to take a 24-7 lead at the break. 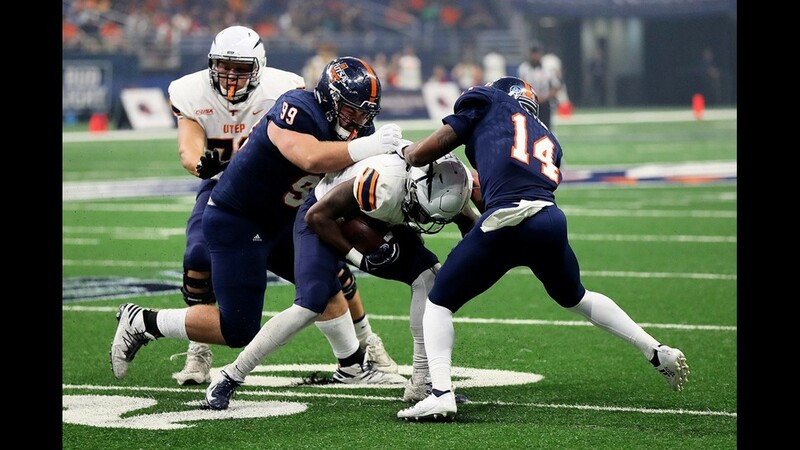 Grundy scored the Roadrunners' first TD on a 7-yard run, and threw scoring strikes of 9 yards to tight end Carter McCarthy and 15 yards to Tykee Ogle-Kellogg in a span of 54 seconds in the second quarter. 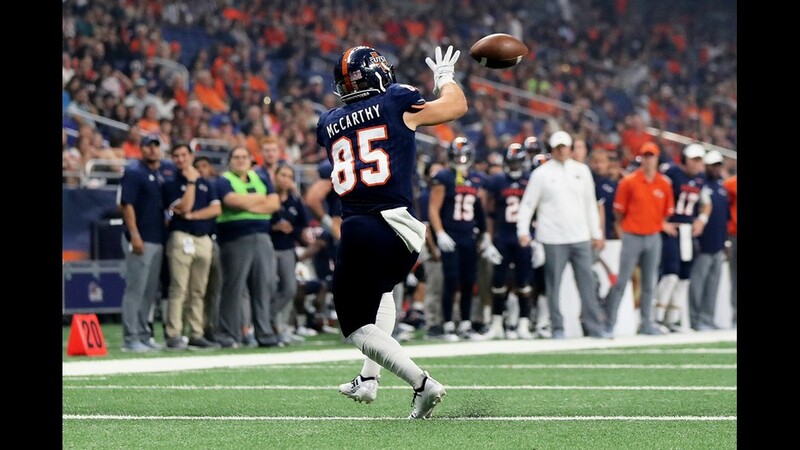 Grundy's TD pass to McCarthy capped a seven-play, 48-yard drive that began after a UTEP punt. 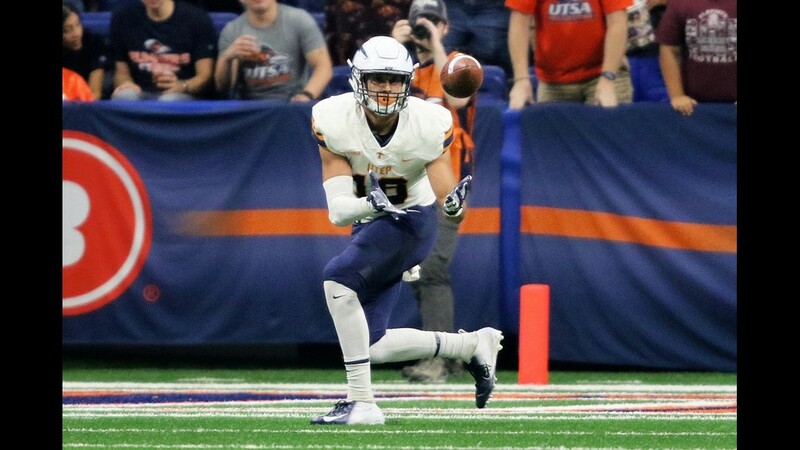 Cornerback Clayton Johnson set up Grundy's TD throw to Ogle-Kellogg on the first play of the ensuing possession, intercepting a pass by Locksley at the Miners' 20. 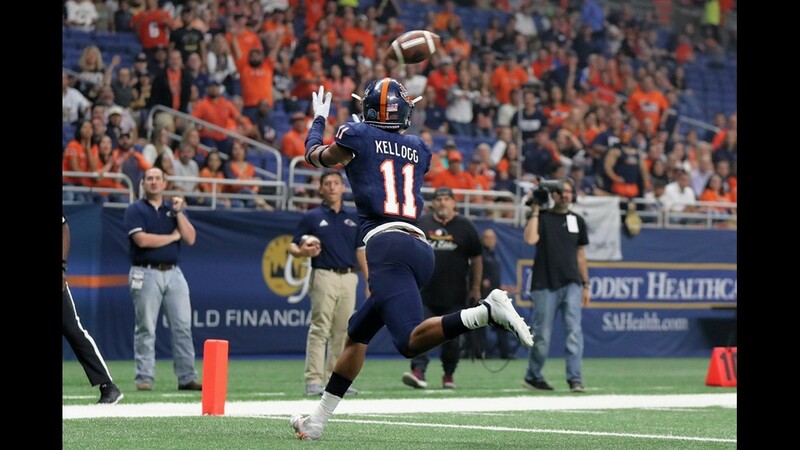 Grundy connected with Ogle-Kellogg two plays later to put UTSA up 21-7 with 9:55 remaining in the half. 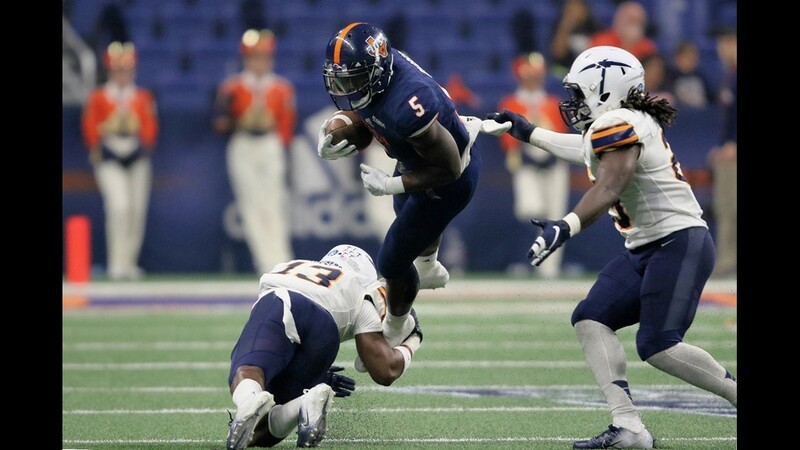 "Tykee ran a great route and he was wide open," Grundy said. "He set the defender up and I was able to get outside of him. He made a great catch. I just told him to go, so we had a good connection in the red zone. I think we played well tonight." 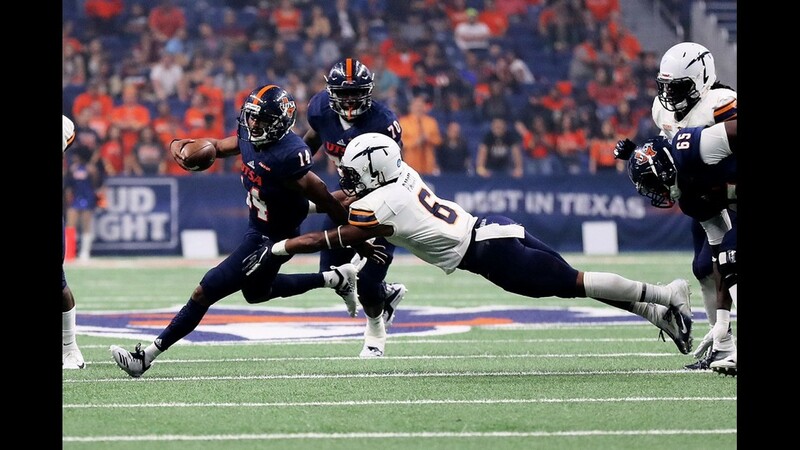 The Miners and Roadrunners battled to a 7-7 stalemate in the first quarter, with both TDs coming after fumble recoveries on punt returns. 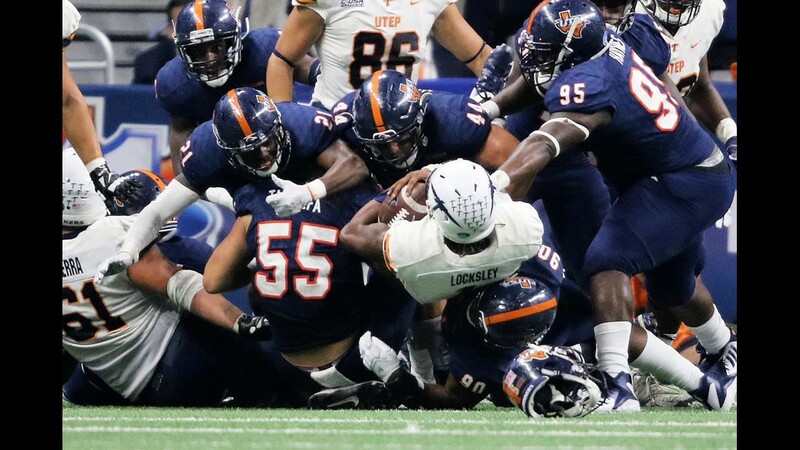 UTEP struck first, scoring on a 7-yard run by Locksley with 4:18 left in the opening period. Jason Filley kicked the extra point. 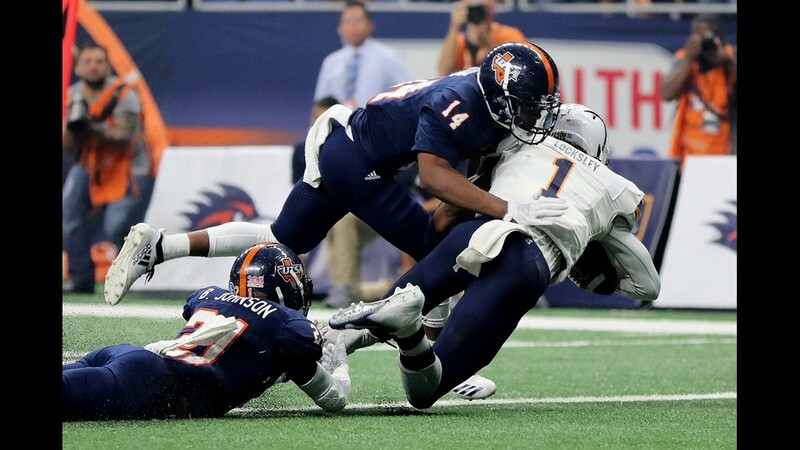 Locksley's TD came seven plays after linebacker Sione Tupou recovered a fumble by Greg Campbell Jr. at the UTSA 43. 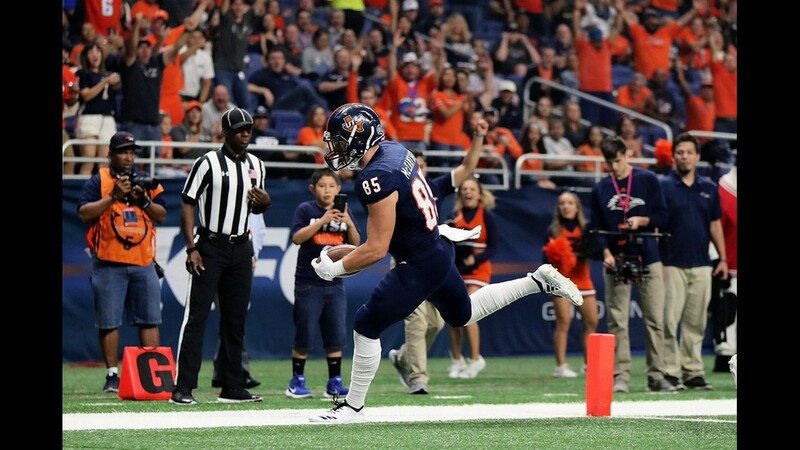 Safety Andrew Martel set up the Roadrunners' first TD on the ensuing possession, recovering a fumble by Terry Juniel, who couldn't handle Yannis Routsas' punt at the Miners' 10. 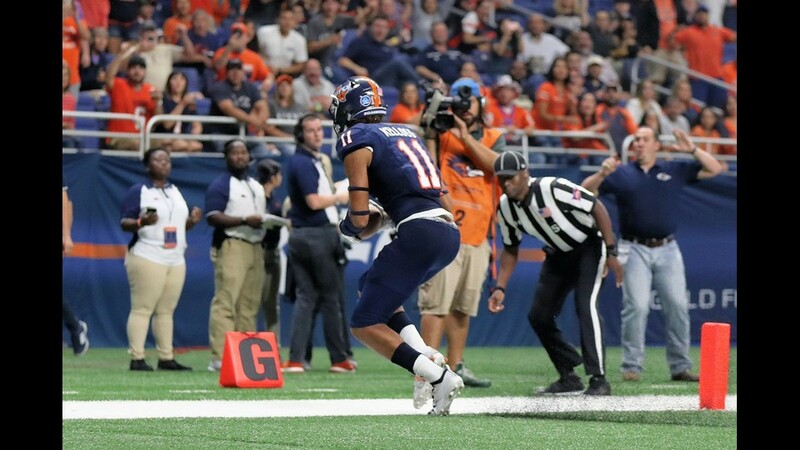 After a scramble, Martel came up with the ball at the 7. Grundy ran around right end on the next play. 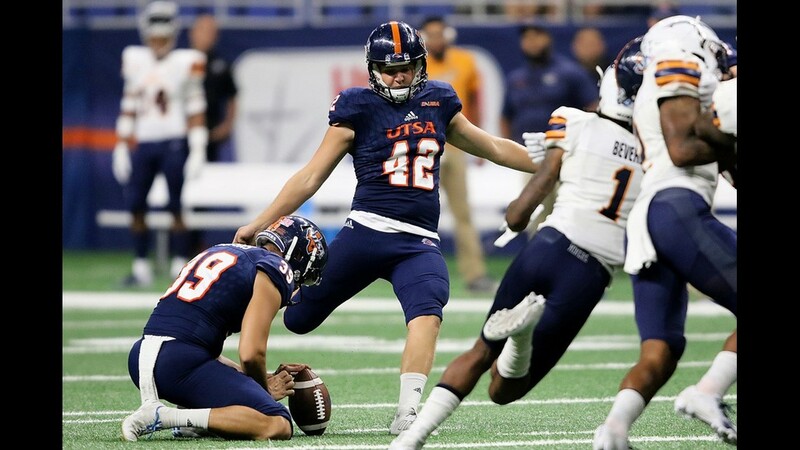 Jared Sackett's extra-point kick tied the game with 1:22 left in the first quarter.